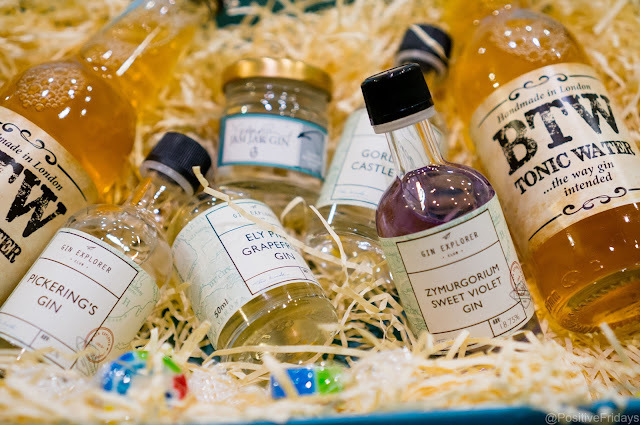 I love gin, I love subscription boxes. 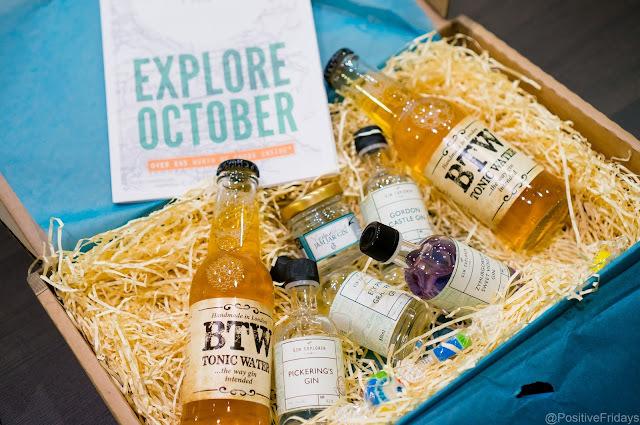 So a gin subscription box is right up my street. The Gin Explorer box is from the people behind Gin Festival, which turns up at towns and cities around the UK. To get your gin fix in between festivals, you can sign up for a monthly box of gin samples, tonic, recipes, tasting notes and related goodies. I was rather excited to rip the box open, but I did so carefully as these boxes are always handy to use to wrap Christmas presents. 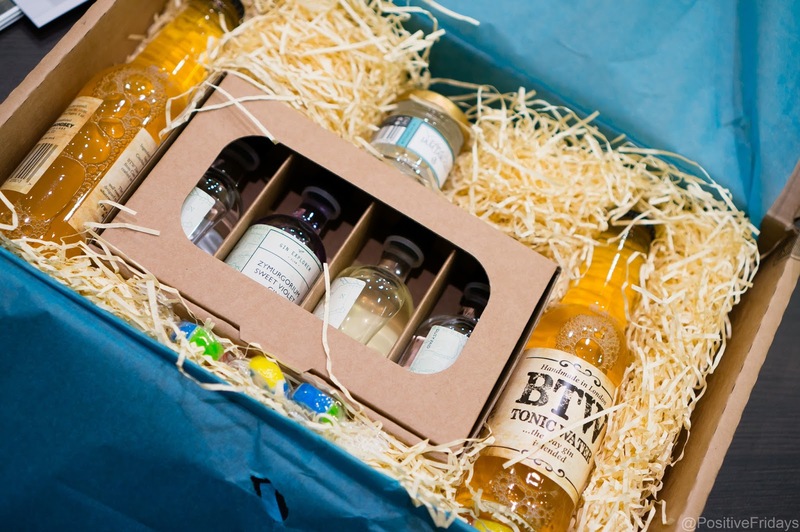 Inside I found a secure box of four gin samples, two decent sized bottles of tonic, some sweets and a mini jar of gin. 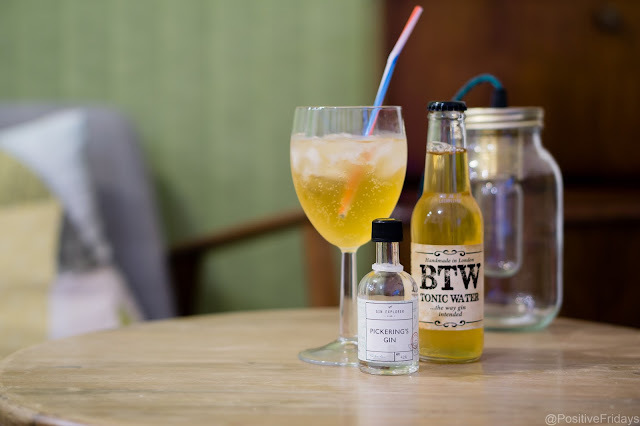 The tonic was from BTW and had an interesting colour, which comes from the fact that the bark isn't bleached to get the quinine. It's made to a Victorian recipe and isn't too bitter. The gins were each 50ml (apart from the jam jar which was 30ml) so a double. Possible to share but better not sharing! 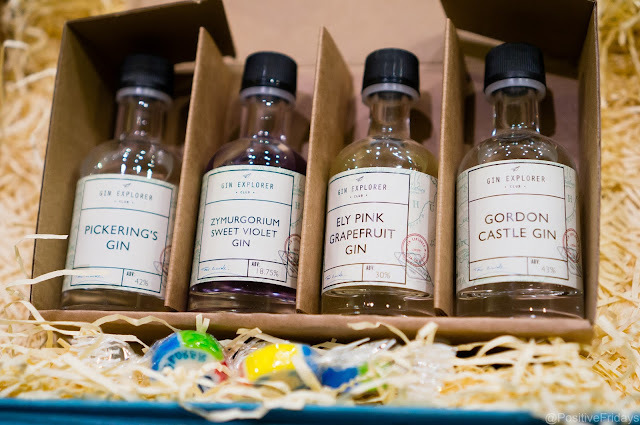 The violet and the grapefruit were more gin-based rather than gins as the percentage was lower than standard. I decided to share them with Edd and try them in a variety of ways one Friday evening. We got dinner ready, put a film on and sat down with a neat Ely Pink Grapefruit gin. It was sharp and sweet as you would expect, maybe a little too sticky. I enjoyed having it neat but would have it with ice next time. 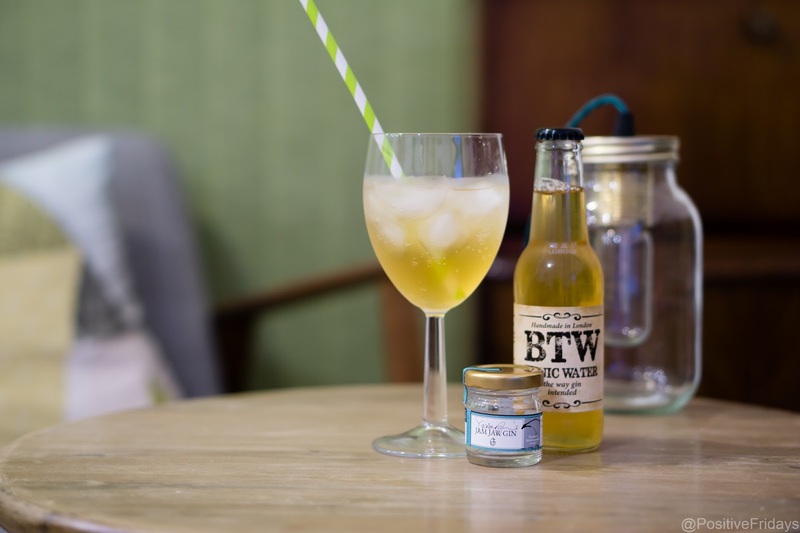 Next, a gin and tonic made with the Jam Jar gin. This was surprise favourite. 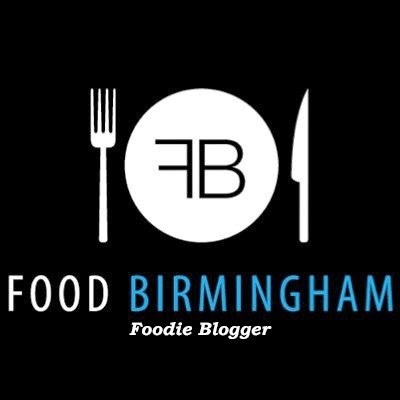 I wasn't sure of the point of it being in a jam jar but once I tried it I understood. A fruity and almost creamy gin, this tasted like summer. Beautiful with the tonic. The full size gin comes in a mason jar, which is a tad cutesy but I'll over-look it because I enjoyed it so much. Pickering's Gin was great in a G&T too. A spicy, cardamom-heavy gin from Scotland, this was great with lots of ice. I was most excited about Zymurgorium Sweet Violet gin, though again, it's more of a liqueur due to the low percentage. 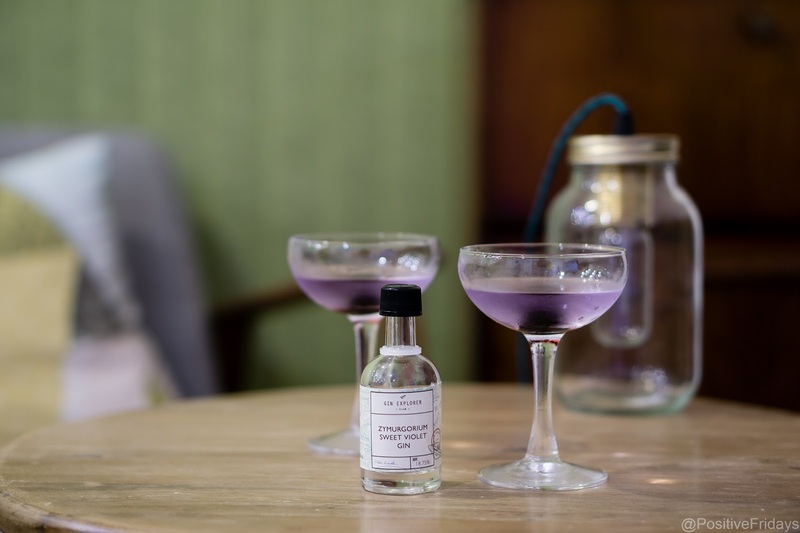 I love all things violet and my favourite cocktail is an Aviation, made with violet liqueur. I decided to make myself a violet 'martini', made with a less flavoursome gin and dry vermouth, plus a maraschino cherry. 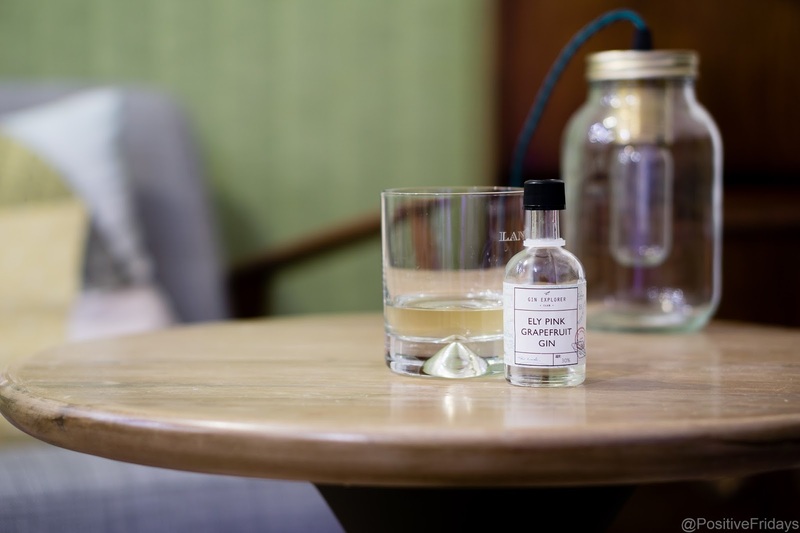 I tried a sip of the gin on its own and it was very floral but not too sweet- lovely. Beautiful colour too. 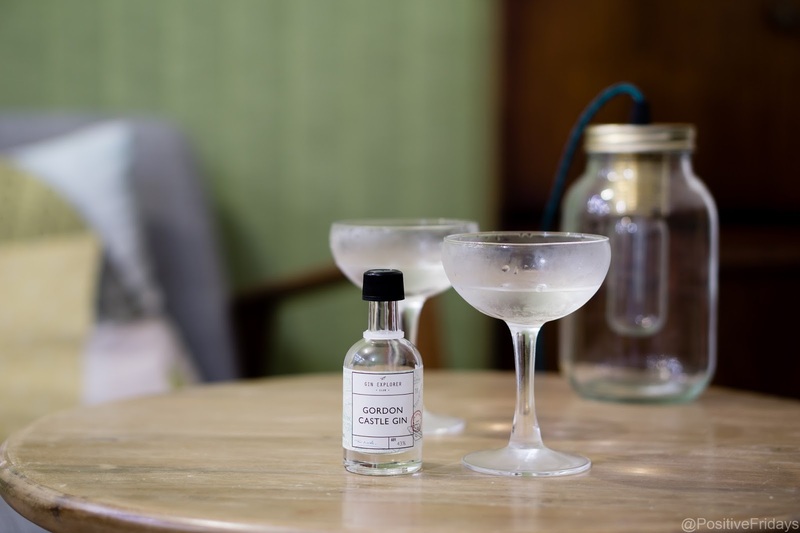 Gordon Castle is another Scottish gin, with heavy mint notes. Surprisingly refreshing, this was perfect in a martini. 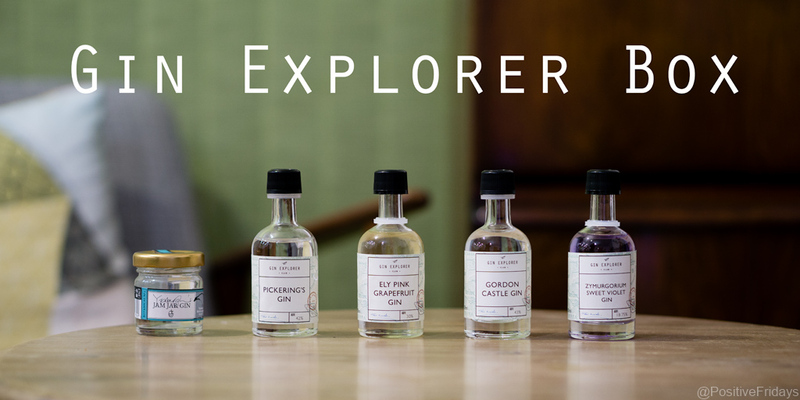 We loved trying the different gins, as they were all ones we hadn't come across before. 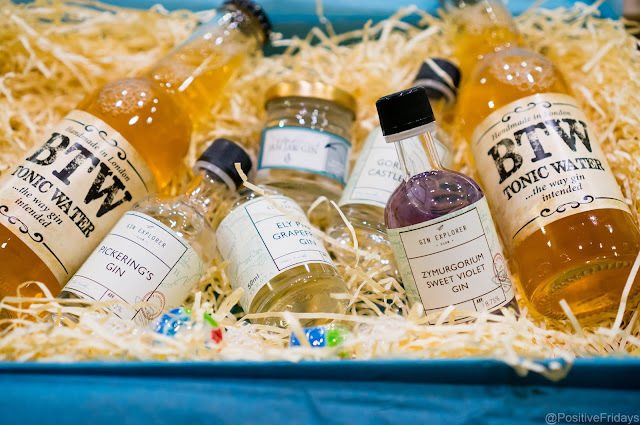 My favourite, surprisingly, was the Jam Jar Gin, summer in a jar. We both loved the Gordon Castle too, delicious in a martini. 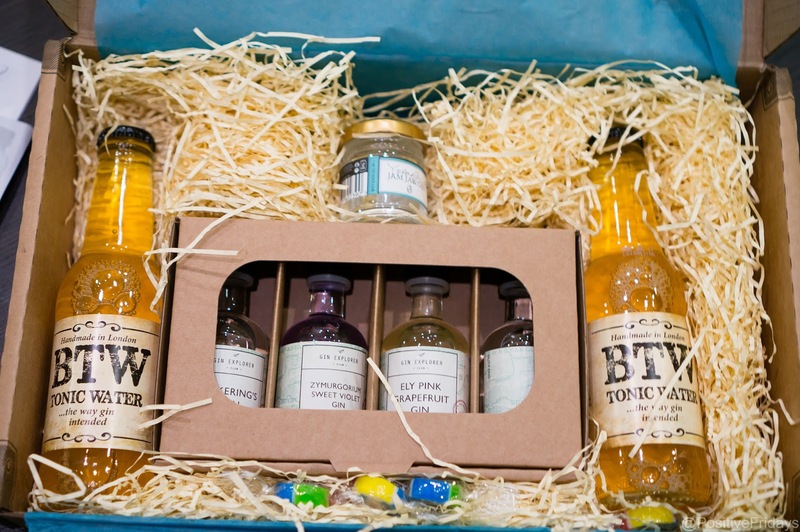 The tonic was great too. The problem with these subscription boxes is what to do with the packaging afterwards. If you have one a month it can really stack up. I tend to save them and re-purpose them as Christmas presents. 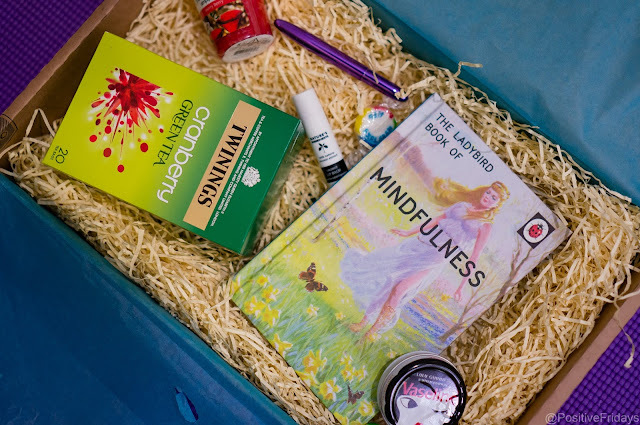 Friends and family love receiving a curated box of goodies. I put a few bits and bobs together to show how easy it can be. I love those Ladybird books- so fun. 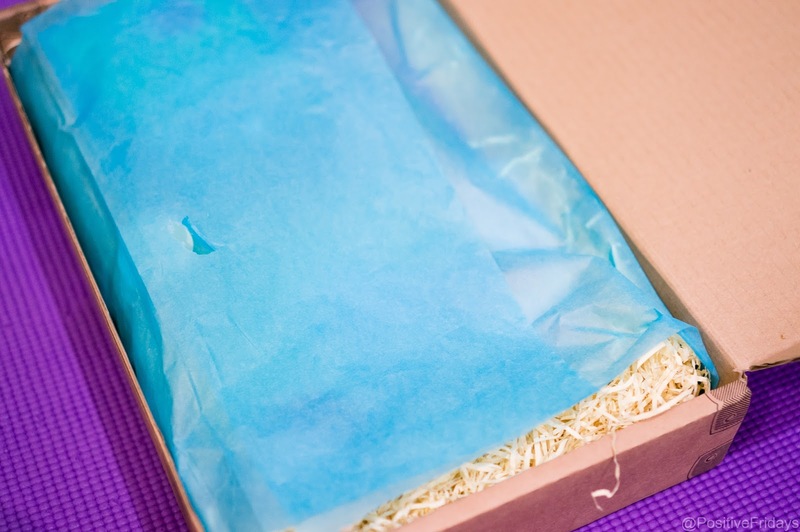 Plus, the box is really easy to wrap! 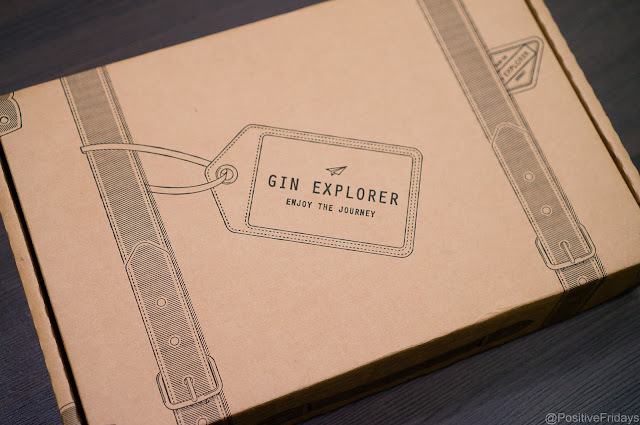 Thanks to Gin Explorer/ Gin Festival for sending me the box to try- what a super Christmas present this would make! The box was complimentary in return for a post.